Anyone can do “simple”, but we just prefer “exceptional”: new patterns, motifs and materials which touch emotions and intellect alike, and designers who light the fire of innovation on your walls. 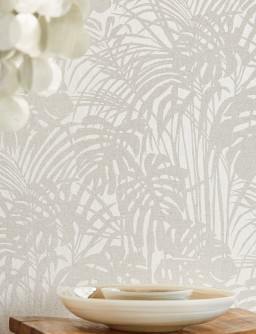 We proudly present a handpicked selection of international wallpapers to admire and covet. Discover a new, pure sense of wonderment and some truly intoxicating ideas for the ultimate lifestyle. The history of Wallpapers from the 70s started with just one roll of fantastically crazy wall treatment from the funky Seventies. This triggered off a true passion for exceptional wall treatments which don’t just adorn and complement a room but add imagination, colour, luxury, and excitement to your life. Discover these unique creations – we’ve collected them for you with a sure flair for trends and a lot of love. Be your own interior designer and reflect your ideas and dreams in your home. Our new trend wallpapers and exclusive designer wall treatments from around the globe enable you to create a unique personal ambience. Be daring, courageous, eccentric, humorous, and grandiose – just be yourself! New wallpapers can change your environment for the better. Live life by your own design! It’s not the ordinary things in life that make it what it is – it’s the extraordinary, the exciting, the fantastic, the enchanting, the “je ne sais quoi”. When it comes to choosing the right wallpaper, you should take heed of Oscar Wilde’s wise words: "The ordinary gives the world its existence, the extraordinary its value." Nothing delights us more than being able to make your wishes come true with our exclusive wallpaper models. Live Life by your own Design! Print your wallpaper favourites as DIN A4 samples to put them to the test in the actual environment. The proportions are 1:1 to the original design. Surface, material, sheen, effect – check in the comfort of your own home if the second impression surpasses the first. We’ll send you original wallpaper samples swiftly and reliably. 10 years of experience and a large dose of passion for wallpapers have honed our trend radar – we will keep you updated with regards to new international wallpaper trends. We support architects and designers when it comes to choosing the right wallpaper for any environment – with a variety of tools and detailed individual advice. You probably know the saying “Clothes make the man”. The same is true for wallpapers for your home. Four bare walls are transformed into an exclusive universe reflecting your emotions and individual lifestyle by the simple style element of wallpaper. But what makes wall coverings unique? It’s patterned or designer wallpaper which not only meets all your requirements and high standards but mirrors your imagination, your dreams and memories, and induces a sense of well-being you will enjoy every second of every day. Wall décor has an important role to play when it comes to feeling comfortable in your own home. Bad moods, listlessness, fatigue, exhaustion – your home has a huge effect on your mental state, as the subconscious picks up on discord and disharmony. But fear not! A clever choice of colours, structures, materials, patterns and designs can do wonders and totally transform a room. The wall coverings of your choosing shouldn’t just be appealing and attractive, they should also evoke wellbeing, positive emotions, reflect your personality and preferences, your dreams and aspirations. Discover the exclusive wallpaper range in our online wallpaper shop and find The One to complement your lifestyle and create a feeling of total comfort. Suitable wall coverings are an important element of successful living, be it in the private sphere or in a business environment. Why? Here is a simply example: Imagine entering a hotel lobby, the walls of which have been painted in a subtle plain colour. The furnishings are sophisticated and reflect the magic of bygone days. And now picture the same scene with a gloriously exuberant Art Nouveau Wallpaper, resplendent with gold detailing and a touch of Gustav Klimt. Two very different cups of tea, right? It’s like instantly being transported back to an epoch you’ve only read about, or seen represented in beautiful paintings. Or think of the sublime impact on your mood when entering an opera building, the walls of which are adorned with intricate and luxurious wallpapers. The glamour of the surroundings has an immediate effect on one’s emotions. That is why we feel particularly proud and privileged to count world-famous opera houses like the Semperoper Dresden, the Opéra de Paris or La Scala Milan amongst our customers, as well as many renowned hotels and theatres all over the globe. 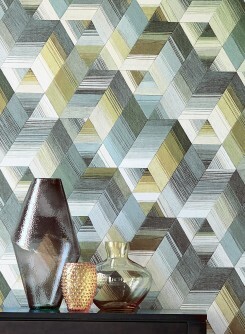 They all bear witness to the stimulating and unique effect that luxury wallpapers possess. Experience a completely new zest for life. Let our exquisite Luxury Wallpaper Range transport you to any time in history you may dream of, and utilise the finest materials and the most vibrant colours to reflect your personality and emotions. Just give it a try – you’ll be surprised how much it will change your life! Are you swimming against the tide? Do you feel the need to throw off the shackles of convention, to live life according to your own ideas and desires? No problem! Our Wallpaper Store provides you with everything you need to design your environment in line with your own personal style. Live life to your own design! There is no limit to your freedom to determine your individual wall design. Whether you choose a geometric pattern for the wallpaper in your child’s room or juxtapose a modern bespoke kitchen with romantic flowery wallpaper – anything goes! And do offices always HAVE to have white walls? Indulge your creativity with designer wallpapers, which add colour and energy to your working environment. 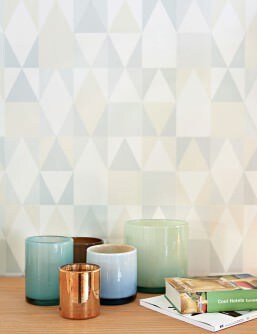 By the way: Exceptional wallpaper does not necessarily mean great expense; reasonably priced wall coverings can be used to create a sophisticated and eye-catching feature wall. And for those with deeper pockets, our hand-made Luxury Wallpapers with beautiful bead detail and silk threads will fit the bill. Which Wallpaper type are you? Yes, your choice of wallpaper reflects your personality. And that is no bad thing, as everyone has their own preferences and ideas when it comes to choosing wall décor. You might be a true romantic, a daring adventurer, a sophisticat, a visionary, a flower child, a regal or playful type, a lover of impressionism or expressionism, of abstract or figurative art. Find out which wallpaper type you are by perusing the Designer, Luxury or Retro wallpapers in our online shop. We go the extra Mile for you! Of course, we mustn’t forget the practical side of wall decoration. In this vein, we offer a number of extras with regards to planning, application and materials of our high-quality wallpapers. Do you have questions regarding stripping or applying/hanging wallpaper? Do you need to know whether surfaces require any specific preparation? Are you after information as to the application of your preferred wallcovering or would you like us to send you some wallpaper samples so you can get a proper idea of the feel and effect of your choice? We’re here to help. Samples will arrive at your door within a few days. Get in touch via the phone or email - our competent and approachable team is here for you. We support architects during the planning process by providing high-res photographs of favoured wallpapers which are perfectly suited for 3D software. Based on your architectural drawings, we put together a tailor-made quote for your wallpaper requirements. Feel free to talk to us about our planning service and make use of our considerable experience in the field of wallpaper resourcing for large hotels, theatres and operas. 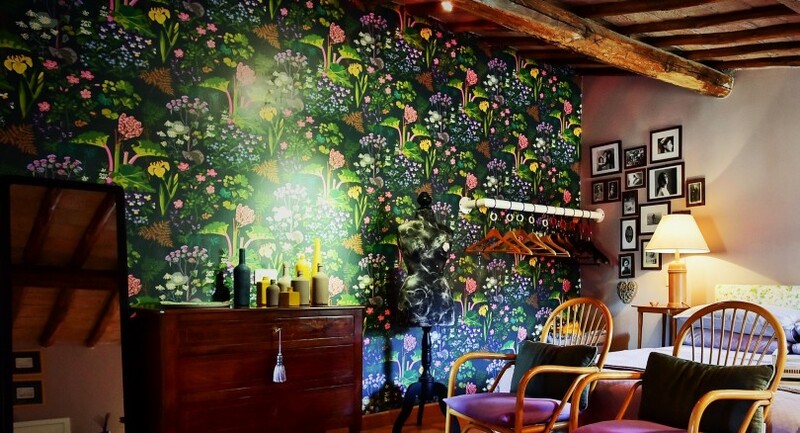 But enough talking – it’s time to discover our Wallpaper Paradise. We hope you’ll enjoy the journey – nothing makes us happier than if our customers find the wallpaper that will make them happy for years to come!